When it comes to cosmetics, dermal fillers are powerful weapons against sagging skin, wrinkles, and thin lips. 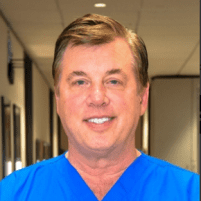 At Texas Family Practice Associates in Houston, Dr. Samuel Siegler II uses Juvéderm® to fill the voids in your skin that age and genetics have left behind, giving your face a younger, fuller look, with minimal intervention. To learn how cosmetic fillers can give you the look you want, call or book an appointment online. Juvéderm is a cosmetic filler made of hyaluronic acid, which is a naturally-occurring substance in your body, largely found in your joints to promote lubrication. As such, it’s perfectly safe when used as a filler because your body is able to receive and process the substance naturally. In fact, Juvéderm is a much safer option than invasive surgeries that run the risk of infection and require considerable downtime. What areas does Juvéderm treat? When injected around your nose or mouth, Juvéderm fills in the lines, often called the parentheses lines, on either side of your nose leading down to your mouth. These lines begin to form when your skin’s natural collagen production slows with age. Another byproduct of aging, especially when it comes to your face, is the loss of volume. Over time, the fat in your skin begins to thin, which is further aided by the loss of elasticity in your skin due to a slowdown in collagen production. These changes can lead to sagging skin, especially in your cheeks. To combat this, Dr. Siegler injects Juvéderm in these areas to add volume and a firmer tone. How many Juvéderm treatments do I need? The answer to this question depends entirely upon the areas you want to treat. During your initial consultation, Dr. Siegler reviews the areas you want to address and comes up with a plan to meet your goals. If you want to tackle several different areas, the treatments can usually be accomplished in one to three visits. To learn how you can erase facial lines or add volume to your face, call Texas Family Practice Associates or book an appointment online.